Because the cluster has gone digital, it is now possible to get two different configurations on the car. 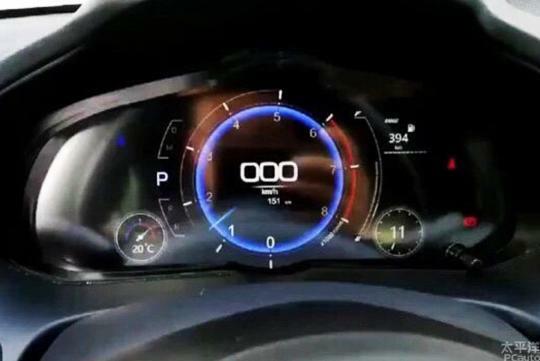 As seen on the photos shown on Chinese publication PCAuto, the first of these configurations includes a large central dial with the tachometer and a digital readout of the speed in the middle. This cluster would probably switch to this more 'sporty' configuration when the driver selects a sportier driving mode. The other one has two equally-sized circular gauges displaying the tachometer and speedometer. Interestingly, we noticed that the steering and the instrumental panels surrounding the cluster look pretty similar to the current generation car which is a surprise for a new car. 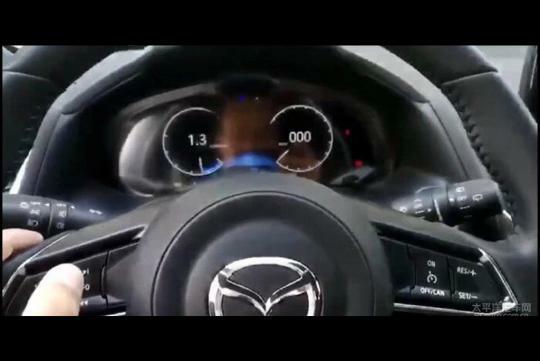 The new generation Mazda3 is reported to go on sale in 2019.